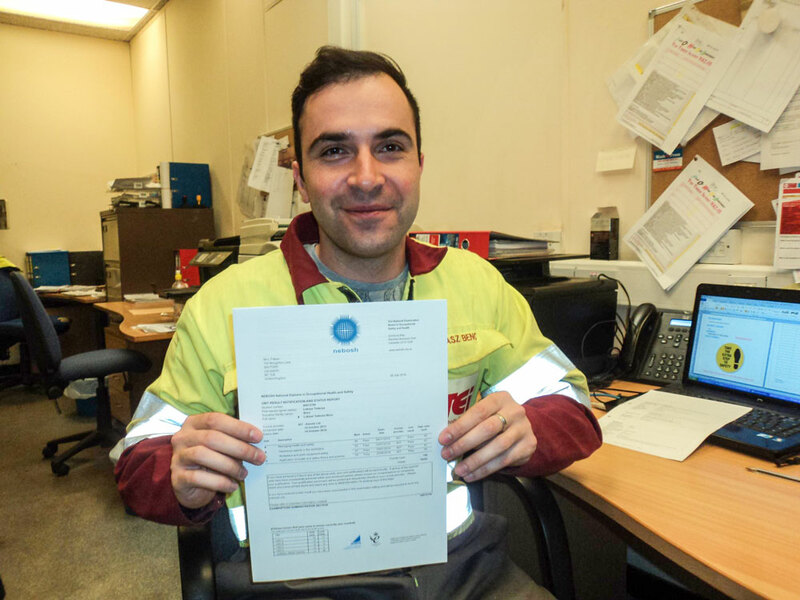 ‘He’s done it!’ Congratulations to Mr Lukasz Benc, company health and safety advisor, for successful completion of the NEBOSH Diploma qualification. Hours of study and research over the last couple of years, sitting three examinations and completion of a final dissertation has all been recognised by the national examination board as meeting the high standards expected of someone able to provide management with expert occupational health and safety advice. The company is proud to say ‘he’s one of us’ and wish him all the best for the future.